Luminate Law is a Honolulu-based full service law firm dedicated to providing top-quality legal services at prices that make sense. 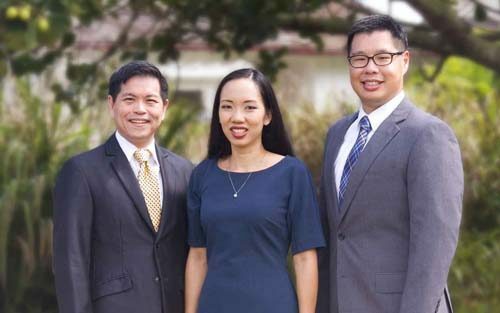 The co-founders of the firm, Elijah Yip and Dean Wang, started Luminate Law after working for top Hawai‘i and global law firms and noticing that many small and mid-sized businesses are priced out of the market for legal services. Even businesses that can afford to hire a lawyer often won’t until they encounter legal problems, which by then usually become very expensive to resolve. We believe that having good legal advice upfront minimizes the risk of costly legal disputes arising and places businesses and non-profit organizations in a position to grow. Therefore, we offer affordable options for legal representation on a wide range of legal issues. Unlike most law firms that bill exclusively by the hour, we use alternative pricing structures such as subscription plans and flat fee arrangements in addition to the hourly billing format. Alternative pricing arrangements not only make legal services more affordable, but they more closely align legal fees with the value clients actually receive. Justice is at the core of the firm’s mission. We believe that all individuals, businesses, and non-profit organizations should be treated fairly. We act on that belief by expanding access to legal representation and educating the community about the law. We’re also aware that achieving justice goes beyond taking action within the legal system. That’s why we support other organizations that work to make the community more just. Learn more about our social justice initiatives and how we focus on “Empowering others through the pursuit of justice.” Therefore, as lawyers, we make our skills and experience accessible to those seeking fairness in their dealings with others.